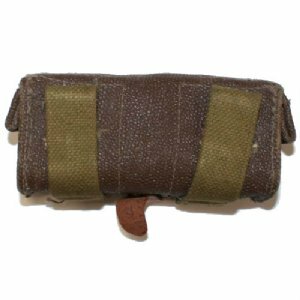 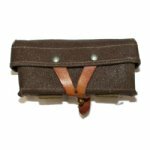 Russian military production SKS stripper clip and ammo pouch. Unissued old stock in excellent condition. Has some sort of ink marking on the leather tab but we can't make it out.